Joseph Smith Jr.2015 by Intellectual Reserve, Inc. All rights reserved. York, Joseph Smith saw God the Father and Jesus Christ in vision. Through revelation, he translated and published the Book of Mormon, organized The Church of Jesus Christ of Latter-day Saints on 6 April 1830 and received revelations to guide the Church. 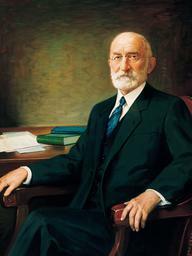 Under his leadership, Latter-day Saints founded communities in Ohio, Missouri and Illinois. Joseph Smith and his brother Hyrum were killed by a mob on 27 June 1844 at Carthage, Illinois. Twelve Apostles. As successor to Joseph Smith, he led the migration west in 1846–47 to the Rocky Mountains and founded Salt Lake City. He was sustained as president of the Church on 27 December 1847. As Church president and territorial governor of Utah, he established Latter–day Saint settlements in Utah and throughout the American West. Under his direction, construction began on temples in Salt Lake, St. George and Logan, Utah. 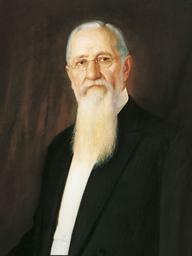 He brought the telegraph and the railroad to Utah and encouraged cooperative industry among Latter-day Saints. 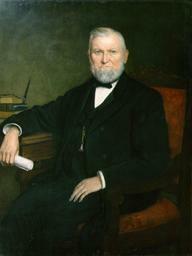 He died 29 August 1877 in Salt Lake City after nearly 30 years as Church president. 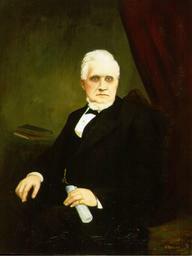 Born 1 March 1807 and raised in Connecticut, Wilford Woodruff was a miller by trade. He joined the Church in 1833 and served two missions before being ordained an apostle in 1839. 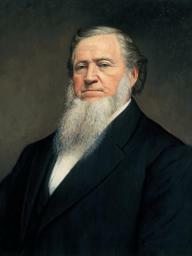 As a member of the Quorum of the Twelve, he completed four additional missions, presided over the templein St. George, Utah, and served six years as Church historian. He was sustained as Church president on 7 April 1889. 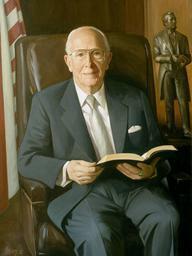 During his administration, he dedicated temples in Salt Lake City and Manti, Utah, oversaw the organization of a genealogical society and reemphasized the value of historical record keeping. In 1890, after much pondering and prayer, President Woodruff received a revelation that the Latter-day Saints should cease the practice of polygamy. He died in San Francisco on 2 September 1898. 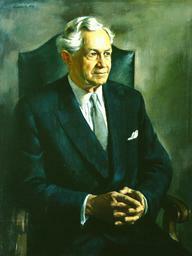 Harold Bingham Lee was born on 28 March 1899 in Clifton, Idaho, and worked in education, business, and government. As a stake presidentduring the Great Depression, he initiated a program of self-sufficiency and relief that grew into the Church’s welfaresystem. After his call to the Quorum of the Twelve Apostlesin 1941, he continued to work with the welfare program and initiated organizational changes to improve the coordination between Church headquartersand Latter-day Saint congregations around the world. These changes helped the Church prepare for its rapid expansion during the decades that followed. He became president of the Church on 7 July 1972. He traveled often during his tenure, which lasted only 18 months. President Lee died 26 December 1973 in Salt Lake City. President Russell M. Nelson 2018 BY INTELLECTUAL RESERVE, INC. ALL RIGHTS RESERVED. 2018© 2018 by Intellectual Reserve, Inc. All rights reserved. the Church’s Canadian Mission, headquartered in Toronto, Ontario. 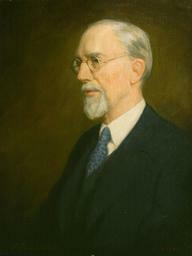 Shortly after his return from Canada, at the age of 36, he was sustained to the Quorum of the Twelve Apostles in 1963. 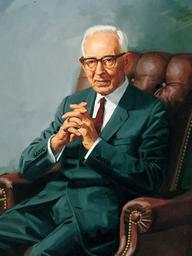 He served as a counselor to President Ezra Taft Benson, President Howard W. Hunter and President Gordon B. Hinckley before becoming the president of the Church on 3 February 2008. President Russell M. Nelson was sustained and set apart as the 17th president and prophet of The Church of Jesus Christ on Sunday, January 14, 2018 in the upper room of the Salt Lake Temple. Prior to his service as head of the Church, President Nelson served as president of the Quorum of the Twelve Apostles from July 15, 2015, until his call as the Church’s leader. He has served as a member of the quorum since April 7, 1984.